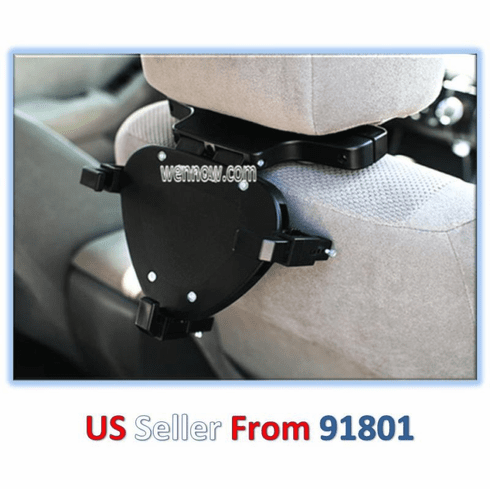 Car Mount for Portable DVD Players & TVs Upto 10"
Home | Portable DVD Player | Car Mount for Portable DVD Players & TVs Upto 10"
320558848442 Headrest mounting bracket for portable DVD or portableTV. Mounts to the arms of height adjustable headsets of cars. Mounts to the back of the front seat for viewing from passangers in the back seat. Adjustable arms to fit upto 10" screen size device. Minimum compatible device width is 8 3/8" Maximum compatible device width is 10 3/8"